Price again. As a beginner machine, this is ideal. 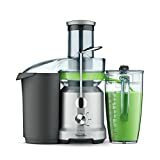 Best juicer for the money. If you want to go for the two setting option, you will pay a little more, however, this is still minimal compared to some of the more expensive models on the market. You can opt for one of two speed settings, and if you go for two then you will pay more, so do bear this in mind. 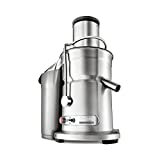 If you thought our previous juicer was cheap, this one of the best cheap juicers! 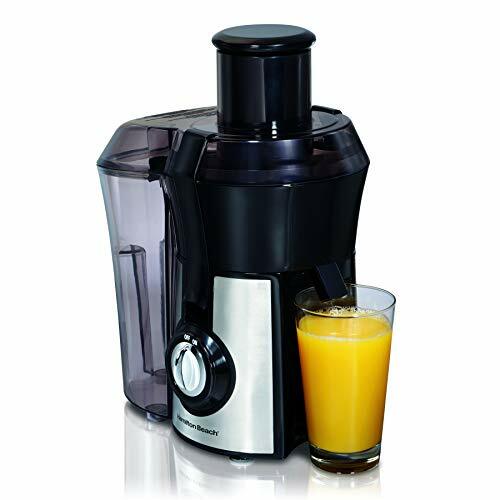 Hamilton is a very good name in the electrical juicing world, so you can be assured of a quality product; coming in at around $60, this is our cheapest choice. 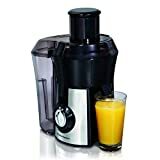 Overall, the container which you use to do the juicing can double up as a serving cup, and you can easily juice whole fruits and vegetables without chopping. There is an extra large pulp basket, so no mess, and the machine is also easy to clean, with a reliable motor too. The machine has the ability to juice an apple in around three seconds.